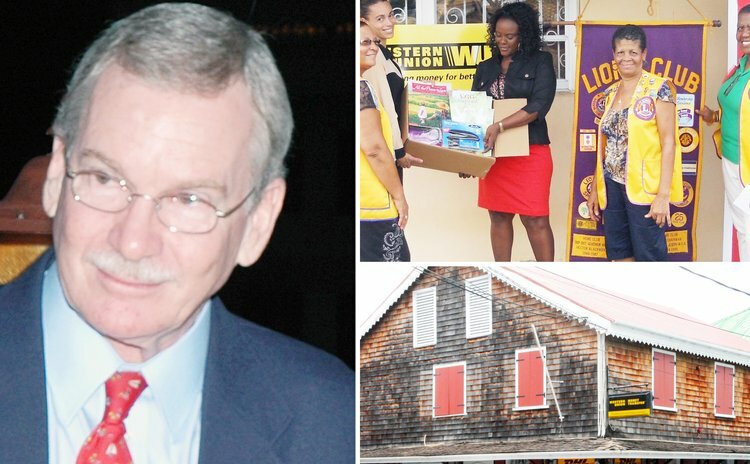 Roseau, Dominica, January 10, 2014 – In cooperation with The Western Union Foundation, H.H.V. Whitchurch & Co., Western Union's Agent in Dominica, joined forces with Hands Across the Sea to help raise literacy levels in Dominica schools. Working together, three schools—Roseau Primary School, St. John's Academy (Portsmouth), and Castle Bruce Secondary School—received literacy support for the 2013/2014 school year. H.H.V. Whitchurch & Co. donated USD $5,000 to support Hands Across the Sea's Caribbean Literacy and School Support (CLASS) program. The donation was matched dollar-for-dollar by the Western Union Foundation via its Agent Gift Match program for a total grant of USD$10,000. The donation helped the identified schools get new reading books to enhance their libraries, as well as assisted in the refurbishing of two of the schools libraries. The joint support of the Western Union Foundation and H.H.V. Whitchurch & Co. Ltd. has funded a large selection of brand new books from leading education publishers, such as Scholastic and Dorling-Kindersley, and Caribbean-niche titles from Macmillan Caribbean and Campanita Books, and the renovation of Roseau Primary's and Castle Bruce Secondary's libraries. For St. John's Academy, the donation is funding new books. "Whitchurch always gives to our communities, especially education. Annually we give about EC $12,000 towards education, directly and through the Education Trust Fund. This grant is the first direct one to specific schools and the first one matched dollar for dollar by the Western Union Foundation," said Gerry Aird Managing Director, H.H.V. Whitchurch & Co. Ltd. The Company, established over one hundred years ago, continually supports education, which it sees as a pillar of national development. "The Western Union Foundation collaborates with Agents to give back to the people and communities we serve," said Patrick Gaston, president of Western Union Foundation. "H.H.V. Whitchurch & Co. shares our passionate commitment to improving child literacy in Dominica. This commitment shows that they share our belief that the path to a brighter future for the children of Dominica begins with a strong foundation in educational programs."